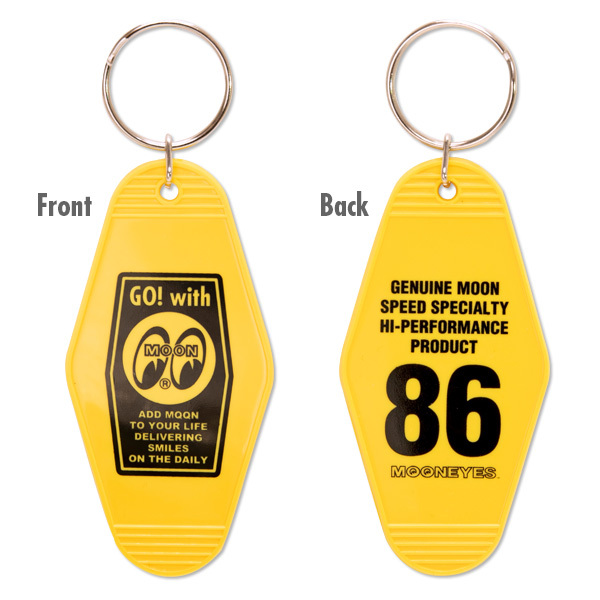 MOON brand classical key tag. 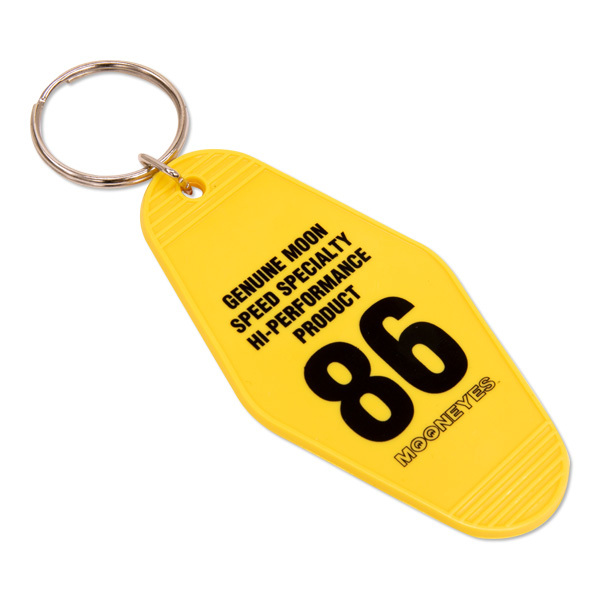 The design is like a room key tag used at a hotel or motel in the USA around the '60s. 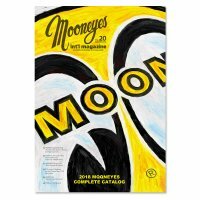 ADD MOON TO YOUR LIFE DELIVERING SMILES ON THE DAILY message printed. 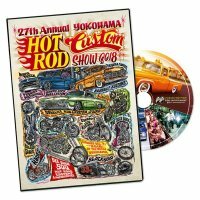 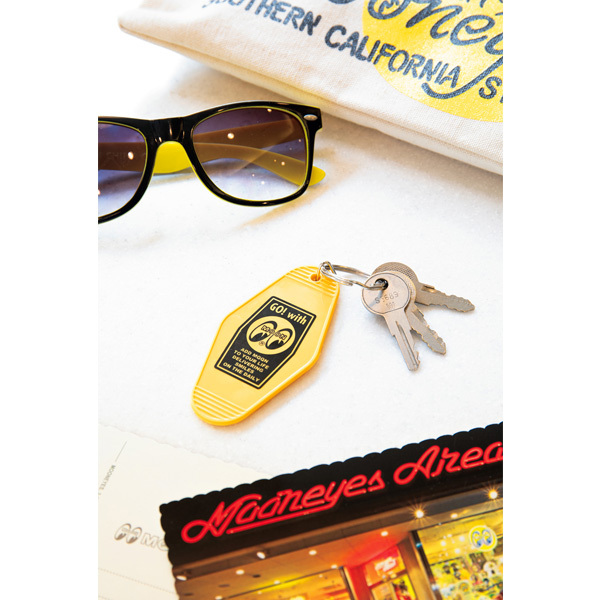 when MOONEYES Shop opened in Motomachi Yokohama. 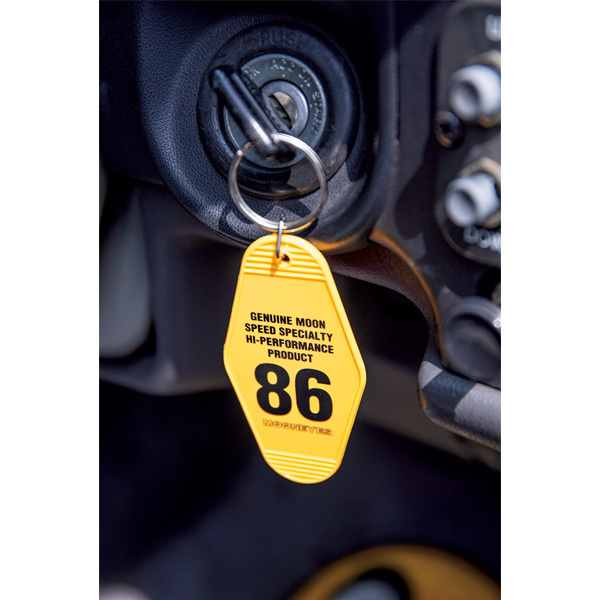 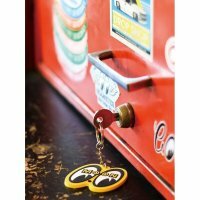 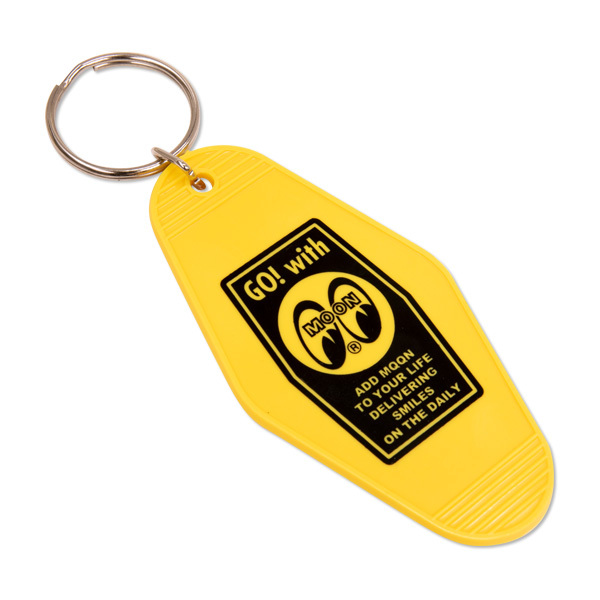 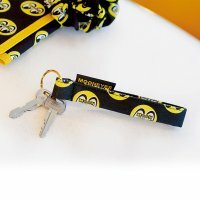 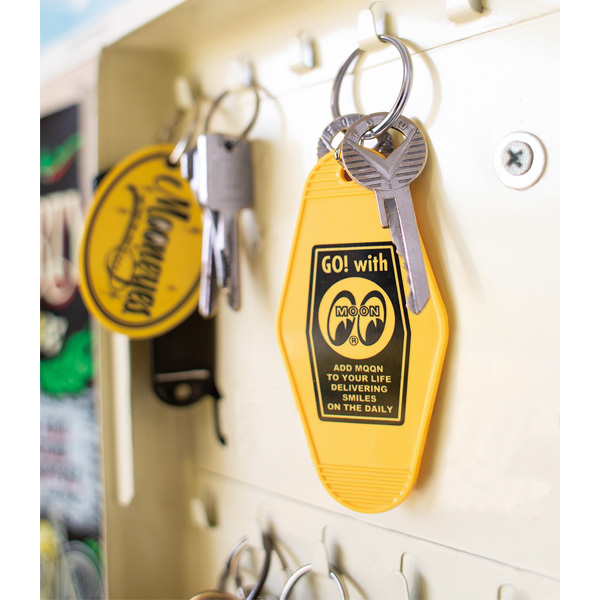 Not only as a key ring but you can also display as an interior.